Eye twitching can happen in the right eye, left eye, or both. This spams are pretty common and can be irritating. But luckily, eye twitching is usually not cause for concern. Have you ever felt your eyes twitch? This feeling is more common than we might think, most people have felt it at least once in their lives. We don’t pay very much attention to it, because it ends up going away eventually. This twitch normally affects the eyelid on one of your eyes, and lasts a few days. 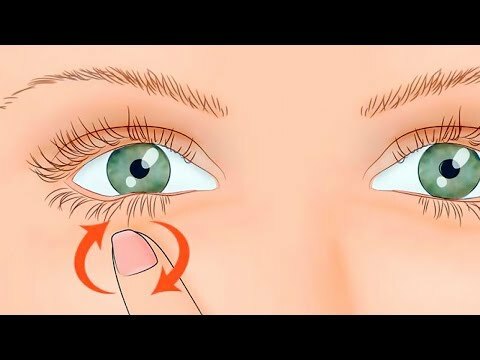 It can, however, affect both eyelids and last longer, becoming quite uncomfortable. In most cases, the twitching starts because the muscles in your eyelids are tired. The same thing happens when you exercise a lot, and feel your legs trembling from exhaustion. There are a few other possible causes for this twitching sensation, and some of them may indicate a more serious problem. In today’s video we’re going to talk about some of the reasons why your eyes twitch.